You will feel in paradise as you walk thru the door of this beautiful home located next to the gorgeous Vista Cay Clubhouse. One flight of stairs and you will be by the refreshing waters of the infinity pool or relaxing in the spa. I absolutely adored my family's stay in this beautiful home. After traveling for six hours, two of those hours in the holiday traffic jam I was pleased upon opening the door to my home away from home. I was greeted with a welcoming basket full of goodies and cool drinks in the refrigerator. 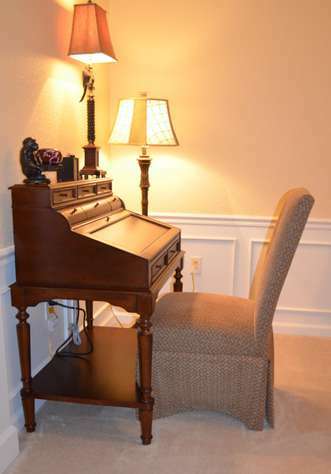 The condo was very accessible and the owners gave specific easy to follow directions. The pool was picturesque and one flight of stairs away. The floor plan of the home was spacious and accommodating for my guests and I. The home was well equipped and there was no problem preparing a home cooked meal for the family's brunch. The best of entertainment was nearby and we enjoyed a girls night out and the famous BB Kings restaurant which was only a few miles away. I will definitely stay again and I hope soon! We could not have been happier with our stay. The location was perfect for us since I was there for a convention at the OCCC. Pool was excellent! Hot tub was great! I can't say enough about the condo. It was fantastic! The split floor plan was really functional and fit our needs perfect. Decorated very well and modern. This property is very well maintained and just as the pictures/description states. 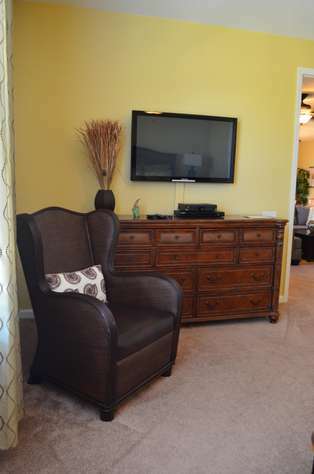 My family felt very comfortable in this very clean, well maintained, unit and complex. 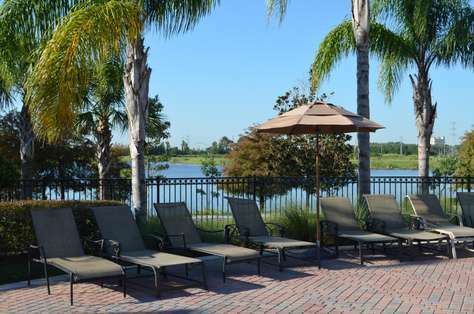 We travel to the Orlando area every two to three years and always stay at Vista Cay as it is conveniently located for Disney World, Universal, Sea World, and the OCCC. This is the nicest unit we have stayed in and we will be returning to our home away from home. The rental process was very easy, convenient, and stress free. The staff were friendly and helpful and answered all of our questions. We had one issue with a cery minir leak under a sink and they immediately sent someone to check on it, made arrangements for repair, around our planned outings, and were very apologetic for any inconvenience, which there was none as they worked with OUR schedule. This area of Orlando is continually growing/changing and we always like to explore our immediate area. Publix is very convenient for grocery shopping, but you will also find Walmart and Target nearby. Walgreens is also within waling distance. One of our new favorite places to eat is The Diner. Opening in mid-May, The Diner has delicious food at great prices. The staff were friendly and made you feel welcome. The Diner is located in the Publix plaza which is attached to the newest phase if Vista Cay. We also really enjoyed going to Chuy’s. My husband is not a fan of Mexican food, but, at his request, we ate at Chuy’s twice. Chuy’s is located just a few minutes’ drive from Vista Cay and is located near the new Star Flyer (tallest swing ride in the world), which we also enjoyed. 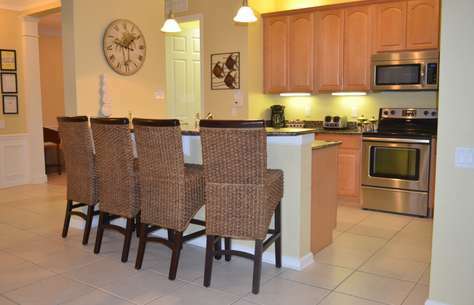 Because of Vista Cay’s location, our wonderful rental experiences with properties such as this one, and our love for this area of Florida, we WILL be back and we WILL rent this unit again. Thanks, ITZ, for helping our family have a wonderful vacation. Condo was HUGE with plenty of space for everyone. Perfectly located around the corner from the pool and clubhouse, close to a grocery and places to eat and just a short drive to the parks. Unit was clean and well stocked with anything you could need for your stay. I liked that you had access to an in-unit washer and dryer, perfect to do a load of pool towels. Would definitely book again. Could not of asked for a better experience! Thank you would stay in this unit again in a heartbeat. 3rd stay and will not be our last. Excellent condo with everything we could possibly need in a great location handy for all the attractions. ITZ also leave a lovely welcome pack. The facilities were excellent including the condo, grounds, pool and bar, and the personnel associated with each. 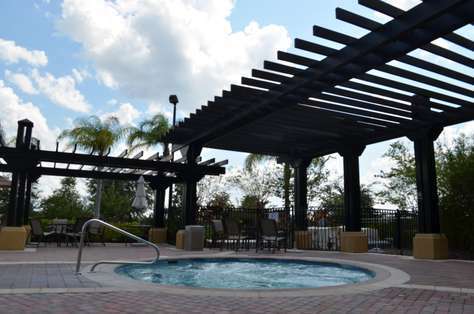 We spend a lot of our stay in Disney and Universal so we did not get the full enjoyment of the condo amenities. Convenience to Parks and airport made our stay better than I expected because travel by personal car was easily done. 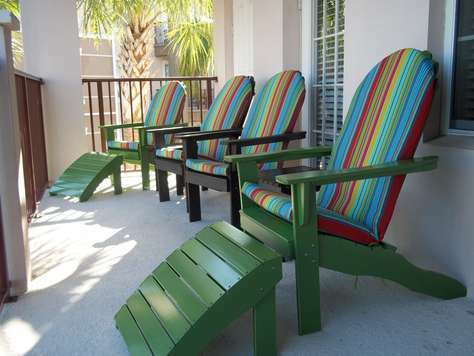 I would request the same condo with my next opportunity to visit Orlando. The welcome package was a nice gesture and my grandchildren enjoyed the snacks. The balcony was a delightful place to have early morning coffee. 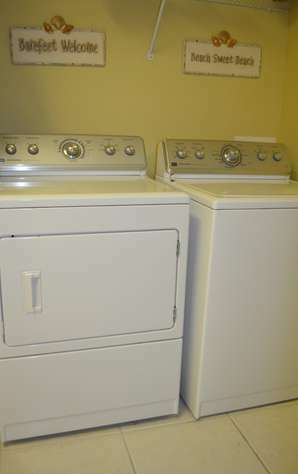 The laundry washer and dryer were excellent, clean and efficient. 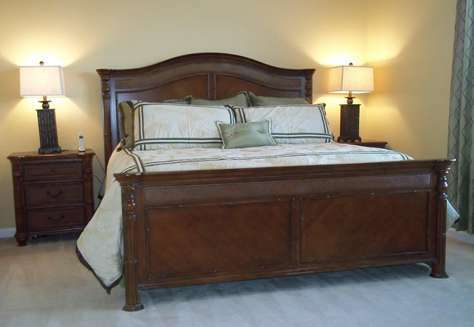 The beds were comfortable and the furnishings throughout the condo were aesthetically pleasing. The Vista Cay shopping plaza was convenient and dinning was an easy drive....Joe's Crab Shack and Bahama Breeze were delightful. Wonderful vacation spot!! Would stay there if available on our next travel to Orlando. We were very happy with our stay. The unit was clean, large with plenty of room for the four of us to spread out and had lots of little extras. I really appreciated that they emailed me the code for the gate & unit so there was no need to check-in. And it was great to be next to the clubhouse. I used the business center to print something and was really happy that their was a free charging station for my car almost directly in front of the unit. We just finished a week long stay at this condo in Vista Cay and I HIGHLY recommend it! 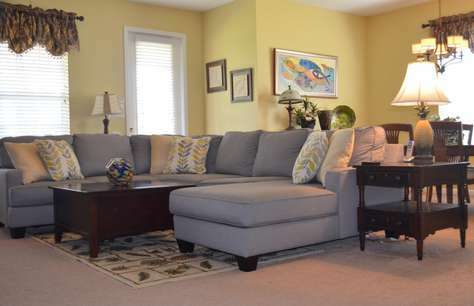 The condo was exactly as pictured- spacious, super clean, and loaded with extras! (Plus it was just steps from the pool and clubhouse!) I really appreciated all the little details: a welcome basket with wine and snacks, coffee maker with coffee and cream/sugar, paper plates, plastic cups, and silverware in addition to fully stocked cabinets of plates, bowls, glasses, wine glasses and cookware! The beach towels, toys, laundry detergent and soap/shampoo were also added bonuses. We were 5 minutes from the convention center and a quick Uber ride from Disney which was SO convenient! The management company was AWESOME and always quickly answered any questions I had. We had ZERO problems and the entire booking, check in and check out processes were super easy! Thanks for an awesome week! We will definitely be back! This property is just perfect!!! 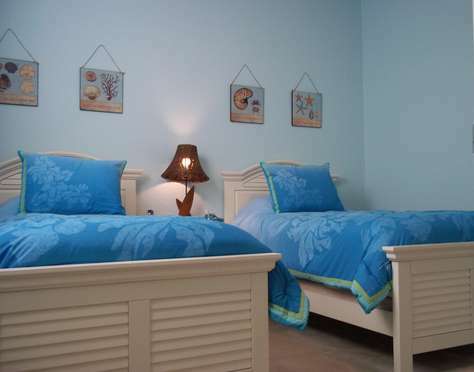 3 big Bedrooms, 2 giant size bathrooms, next to the pool (without hearing the pool noise), clean, spacious, PERFECT! The location was great, easily accessible to Disney, Universal, International Drive, Orlando Eye and other great sightseeing places. The unit was super clean, linens smelled fresh (not mildew like some places) and they provided towels for shower and pool, the rooms were nicely situated and spread out, the kitchen was spotless including the appliances and utensils. We did not feel like we were on top of each other. More than enough room to sleep 6+ people. The owner left us a little welcome basket which my daughter loved, along with notes all over the unit on how to access the WIFI, Smart TV, video games, etc. The property itself was great and very clean and well kept. We were there for Memorial weekend, the pool was not super crowded, the clubhouse had great games for the kids, the traffic in the area was not busy. Far better than any hotel. The property was clean and well stocked with things such as DVD players, movies, books, floats, rain jackets, high chair, crib, kitchen needs, etc. Everything was well thought out. 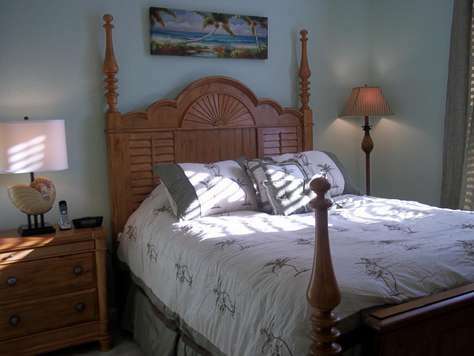 We have stayed at Vista Cay before and will be back to this unit!! This is a wonderful condo. I've stayed at multiple Vista Cay condos and this was the best one I've stayed at by far. Loved the property and the customer service was great! I would definitely book with them again. 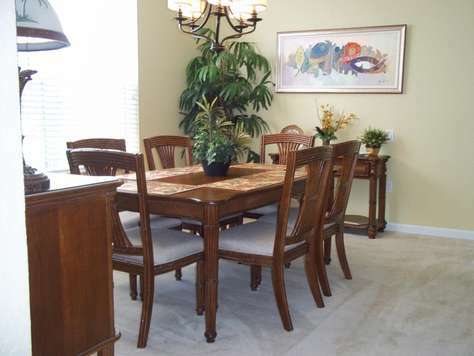 This is a lovely property close to the parks, clean and roomy condo. Management is very responsive and welcoming. On-site amenities are close and staff is very friendly! Loved this rental. it was very clean, and there were many little touches throughout. We rented this for business, and it was great; but this would also be a great rental for a family. The property managers, ITZ Vacation Properties, were really easy to work with, and they were very accommodating for our specific needs. I will definitely be renting here again. We have stayed at Vista Cay for 7 years now and 5 of those years are with ITZ. This is our second year in this particular unit and we loved it. They keep the property up very well and there is always more than what we need to really relax and have a worry-free vacation. Even the little things like batteries for a remote or a screw driver in a drawer make me feel more at home than in a vacation property. 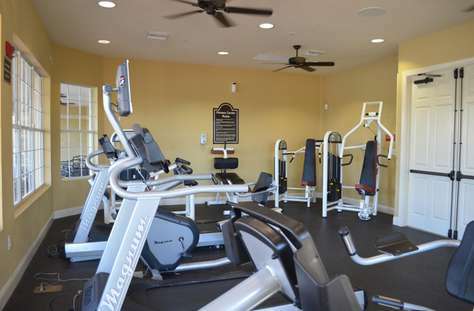 The amenities are always top notch and we love the layout and space. Finally, ITZ has done a great job at always having the latest technology and everything actually works from the internet, televisions, and video games! We love working with ITZ and have recommended several families over the years who have become repeat customers too. The unit was wonderful! Just like it was described and shown in the photos. Very clean and well maintained. Lots of little extras, like dish soap, laundry soap, etc. very much appreciated. Excellent customer service. Yes, we would highly recommend this property to others. 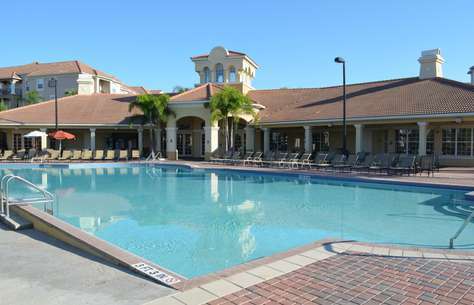 Just down the street from Universal, walking distance to grocery store and Walgreens. Just Perfect! There is absolutely nothing negative to say about this facility and the service. Everything was perfect and extremely comfortable ! The apartment is 3 bedrooms and 21 squares. It has a full kitchen with an icemaker and a total of 5 TVs. We could not ask for more. The beds were all very comfortable. There was lots of space and comfort. The service was great. he cable on the main TV shopped working on a Sunday. On Monday morning they replaced the TV with a new one. I travel to Orlando a lot for my business but it was the first time my children had visited and frankly it was hard to get them to leave. The pool and Club houses were also great and it is located close to most things including a Publex supermarket located just a brief stroll away. Our family, a party of 6, including 3 kids, stayed in this condo for the entire week before Easter (Spring Break), and we LOVED it! It is as lovely and clean as depicted in the photos. It was the perfect "home base" for six straight days of Disney, Discovery Cove and Sea World. The kitchen was fully stocked. The drive to Disney was about 20 minutes and no problem. We were so happy not to be staying cooped-up in some tiny room in a Disney resort. We used the Vista Cay pool a few times. The kids loved it. The adults didn't expect the laid-back pool bar, which was a nice reprieve. Anna, the property manager, is super-organized. We had all the info we needed to park and enter the unit before we arrived. There is an instruction book in the unit for everything we needed in the unit. Everything was smooth and seamless. Five stars!!! This was a very clean and spacious end unit on the second level with lots of window light. The balcony faced the parking area, but there was grass and other landscaping so you weren't all that aware of the cars. Each unit felt private as did the balconies. It was just a few steps to the beautiful pool! It was a perfect spot for our family to stay while using the Convention Center. (We did have a rental car which was good for being at the West Concourse of the Convention Center. However, there was a grocery store and pizza shop right there at Vista Cay.) The booking was a very easy process and I would recommend this property. We really liked that there were items already in the condo that we didn't have to purchase such as paper towels, TP, dish soap, dish washer tablets, etc. The only thing we missed was a grill close by. There is a grilling area, but not very close to this unit. The unit is very nicely decorated and the entire building is nice and so clean. We stayed in the condo for our visit to Universal, Sea World and Disney with our 2 teenage kids and my mom. The locations was wonderful- literally 5 mins to Sea World but only 10 to Universal and 15-20 to Disney. The unit itself was exactly as pictured in the photos-everything was in perfect condition. The couch and beds were so comfortable (my 13 yr old daughter commented on how she wished her bed at home was as comfortable as the twin bed she slept in in the unit). 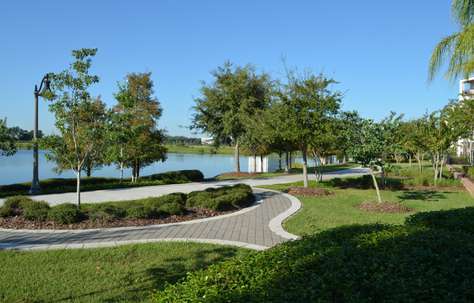 The location within the complex was great too as we could walk to the pool complex and the walking/running path around the lake in 2 minutes. I especially appreciated the supplies that were in the condo when we arrived- there was coffee/sweetener/creamer, detergent for the dishwasher, detergent packs for the washer, and a basket of snacks/wine which was a wonderful surprise. 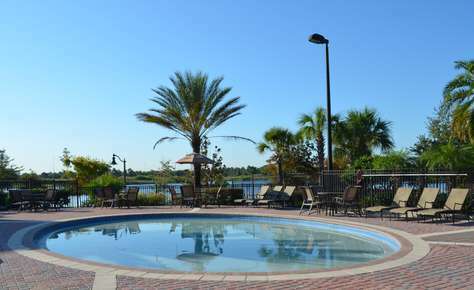 I would highly recommend this condo to anyone visiting Orlando. I plan to rent it again on our next trip! Also I appreciated the management company as everything was run smoothly and efficiently including a very quick return of our deposit and informative emails detailing all the info we would need before our visit.